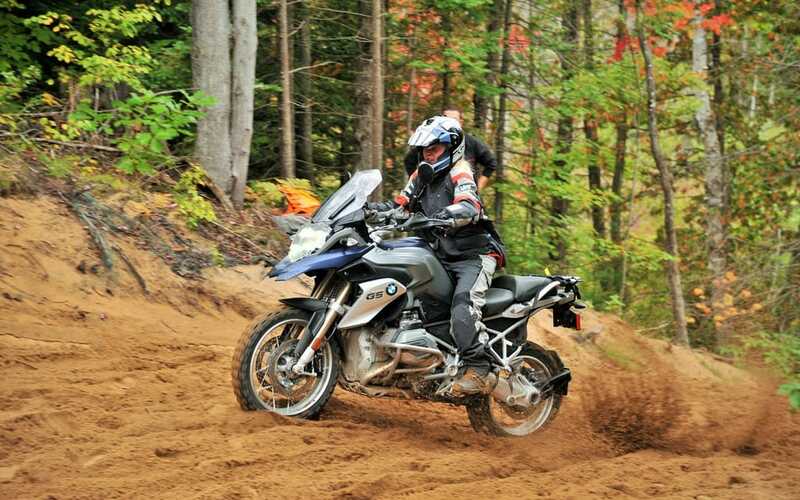 The 2016 Ontario BMW GS Challenge event was geared toward stress-free learning and practice for enduro and adventure motorcycle riders—2016 was not a qualifying year. But now it’s 2017 and there will be official competition, and the range of riding skills I saw last year was quite wide. Road racers and street riders are generally poor off-road riders, so Clinton kindly directed me to the beginner’s group for training — i.e., you likely need lots of off-road training, and so did the last Cycle Canada guy — but my early morning ability to follow instructions proved poor and I wound up in his advanced group instead. Oops. That may or may not have been my brightest move. 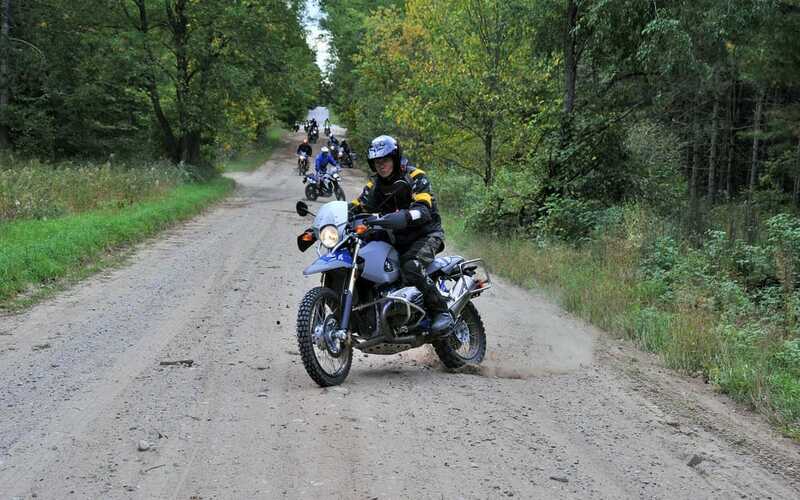 Among other talented riders, former Paris Dakar racer Lawrence Hacking, professional stuntman Jamie Jones, and Adventure Plus owner Clint McBride were in my group. Nervous and wanting to learn as much as possible, I observed attentively before attempting the various exercises held throughout the scenic Horseshoe Valley Resort area. I learned how to stall a bike at the top of a hill and use the clutch to apply braking force while doing a reverse 180-degree turn to roll back down — as well as how to lock the front brake and keep riding without tucking the front wheel, ride through deep sand, over logs, and do turtle-speed figure eights. There are two categories of GS Events which occur in alternating years. The first is the country-specific GS Challenge; there are three rounds for Canadians, held in Rocky Mountain House, Alberta; Horseshoe Valley, Ontario; and Montréal, Québec; plus a final event. The top three finalists from each country compete in an all-expenses-paid adventure in the more exhilarating international GS Trophy against similarly chosen representatives from 19 countries. Southeast Asia, Canada, South America, Africa, and Tunisia have hosted previous rounds. The 2018 route is yet to be announced. Here, there were six qualifying challenges on Saturday, and we were told rules are quite similar to trails events. The top 10 would make it to Sunday’s final and my nerves were tingling; becoming brittle and chubby or not, I wanted to be there based on results rather than journalist credentials. 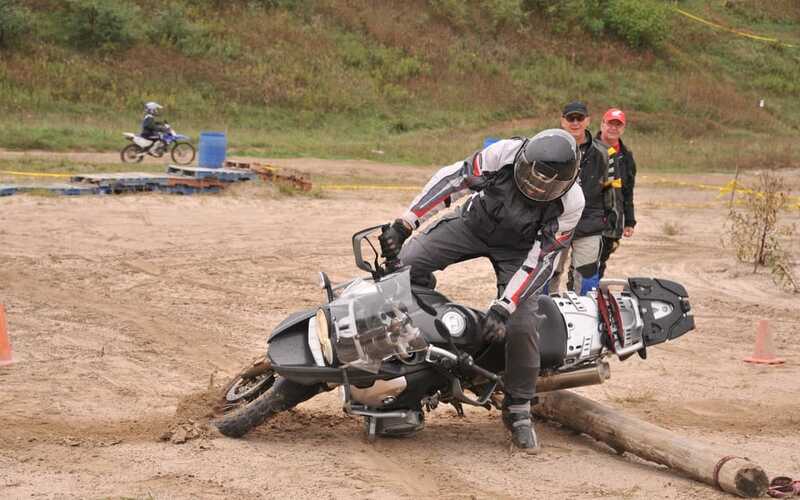 Each rider was granted points for each test completed, and points were deducted for foot dabs, stalls, and falls along the way. Sometimes fast would win, and other times, slow. And sometimes, speed did not matter at all. “If you are coming with me,” Clinton said, “we are going to do all of the difficult sections, because they are fun. So if you got tree bark or dirt on your BMW cylinder heads yesterday, you may want to go with the other group.” Duh, I chose him. And we rode through tight singletrack trails, snowmobile trails with arched cathedral-like tree cover almost in fall colours, gravel roads, and fields, as well as pavement between official test sections. The first test up a hill was supposed to be the most challenging. I watched, listened to Clinton’s advice, put it in second, kept it pinned, and was one of just six who made it up — not even a foot dab. But I crashed a few times, including in the “Sahara Desert,” a four-foot-deep fluffy soft-sand area, and qualified for the final challenge on Sunday in tenth, one spot behind Jamie Jones who eventually won the event. 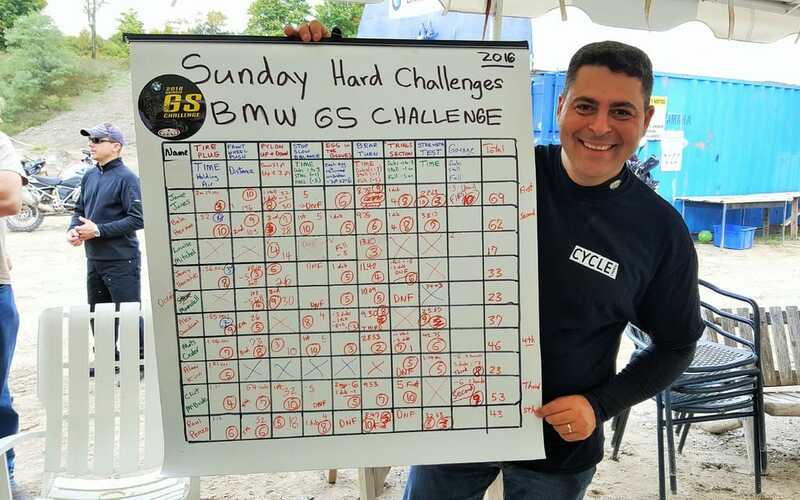 If you are a competent trials or enduro competitor, take a look at the BMW GS Challenge schedule for 2017 and plan to compete in one of the qualifying events. Canada has yet to win the GS Trophy, and you might make us proud in 2018. Come out if you want to learn and have fun, too. The F800GS I rode has the enduro package with ABS, traction control, electronic suspension adjustment, and two power delivery modes. Traction control and ABS was turned off, power delivery set to off-road, and suspension set to sport. You don’t even need a BMW to come out, but you might as well use one. SMART Adventures rents them out in Ontario. To everyone’s surprise, including my own, I finished fifth overall. Months later, I randomly do exercises in the woods and look forward to taking Clinton’s trials riding course in the spring. Fast or slow, big or small, I like getting lucky, particularly where motorcycles are involved. And everyone got lucky that weekend. The weather was great, as was the fun learning the entire crew provided. As a boy, Clinton made salamanders cool and sold them in bulk to schoolmates. While the principal made him stop due to reports of lost allowances and found remains, Clinton had earned enough to buy his first motorcycle, and a lifelong entrepreneurial affair with motorcycles had begun. 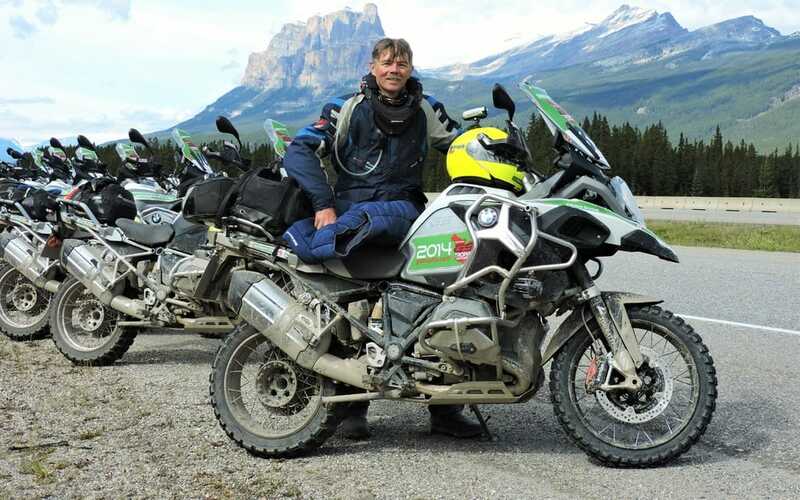 There was no curriculum available when he started the SMART Adventures off-road riding school, so he used his fellow Humber Motorcycle Training instructor buddies as students to test that now successful venture. 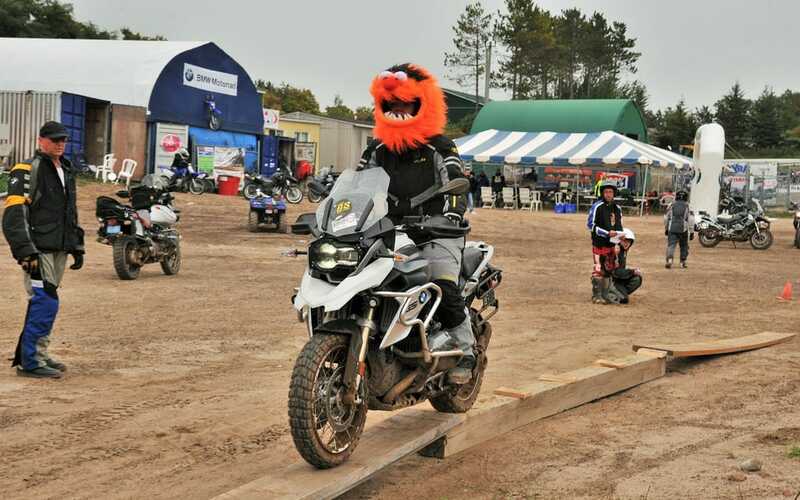 Several years later, BMW executives attended his course incognito, and allegedly enjoyed it so much that Smout became the head instructor of the BMW Performance Riding Centre. When asked about his coolest motorcycle experience, Clinton recalls fondly his role in the 2014 International GS Trophy competition. Highlights included helping riders from Japan do things they had never done before and serving in a support role.